GoodData brings context and relevance to operational decision-making, empowering FinTech companies, payment processors, data providers, and other financial services companies to share valuable digital insights in order to drive personalized sales. 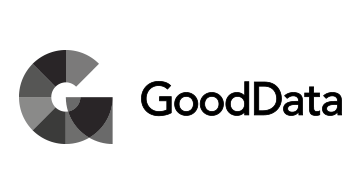 By delivering digital insights powered by advanced analytics, machine learning and built-in continuous learning to everyday workers at their point of work, GoodData helps improve the common operational decisions made everyday by employees, users and partners. GoodData provides an Insights Platform-as-a-Service: an integrated set of data management, analytics, and insight application components. Customers can connect the GoodData platform to multiple data sources and rapidly build standalone or embedded analytic apps to be distributed to very large numbers of users.